You may know the chicory root as a popular coffee substitute. In fact, it was widely used during the Great Depression and World War II when coffee was in short supply or too expensive. Today, it is used around the world and in the US, particularly in New Orleans, as a natural caffeine-free substitute for coffee. However, it's much more than a rich drink. Chicory has a long history as a cleansing medicinal herb. In fact, the ancient Egyptians were known to consume large amounts of chicory to purify the liver and blood. Romans were also known to have used the root to help with blood purification. Medieval monks cultivated the plant, and it is widely used in Europe and the Mediterranean where it natively grows. Called kasni in the Far East, chicory contains tannin phlobaphenes and several forms of sugar. The seeds have carminative and are useful as a brain tonic and for headache, asthma, and bilious vomiting. Chicory is an acclaimed liver protective and is used to treat hepatic enlargement, fever, vomiting, and abdominal aches. Its primary benefits are that it both protects the liver and supports the breakdown of fats by increasing the flow of bile. In fact, you'll find that it's an ingredient in Jon Barron's Liver Tincture formula. In addition, it has strong antibacterial and antifungal activity--and it is even effective against salmonella. Medicinally, chicory has been used to help address acne, cellulite, constipation, diabetes, eczema, gallstones, gastritis, gout, hepatitis, jaundice, liver stagnation, rheumatism, and urinary ailments. Naturally, inulin (a dietary fiber) can be found in more than 36,000 species of plants, however, chicory root has the greatest concentration. There are many health benefits that inulin, and therefore chicory root can provide. It contains prebiotics, a soluble fiber that people cannot digest that stimulates the growth and/or activity of bacteria in the digestive system. Chicory root has 64.6% prebiotic fiber by weight. Compared to the banana, which has only 1%, it easy to see why it's considered to be the number one choice for natural prebiotic consumption. You would have to eat roughly one pound of bananas a day to get your recommended daily dose of prebiotics. The inulin factor contributes a number of other health benefits to chicory root. According to the Mayo Clinic, "Inulin has health benefits similar to those of fiber in fruits, vegetables, and whole grains. It prevents constipation, helps maintain healthy balance of bacteria in the colon, and lowers blood cholesterol levels." You may be surprised to discover that chicory is often used as an ingredient in common food products. But that’s because of the inulin. The inulin adds fiber without adding unwanted taste or texture. It also has the advantage of having a smooth, creamy feeling in your mouth, like fat. According to Dr. Weil, "Food manufacturers now extract inulin from chicory root and add it to edible products such as yogurt, ice cream, chocolate bars, breakfast bars, salad dressings, and margarine." Its flavor ranges from bland to subtly sweet (approx. 10% the sweetness of sucrose). It can be used to replace sugar, fat, and flour. 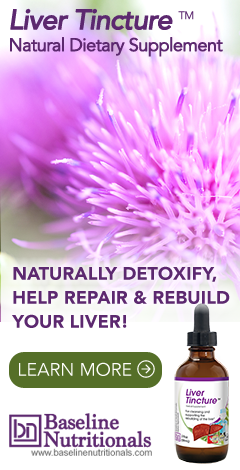 In addition to finding chicory in some all-natural herbal formulas, such as Jon Barron’s Liver Tincture formula, you can find chicory in a variety of forms. The herb is usually dried and most commonly found in supplement form. And it can sometimes be found as a primary ingredient in herbal cordials. does roasting the chicory ruin its medicinal properties? The short answer is yes. Do a search on our website for "raw vs cooked food" to read more about this. From my personal, female experience, I'd advise against adding excessive doses of chicory root to one's diet.